Google has tweaked its Google Flights app, adding predictions about airline flight delays and spelling out more clearly what's included in basic economy fares. 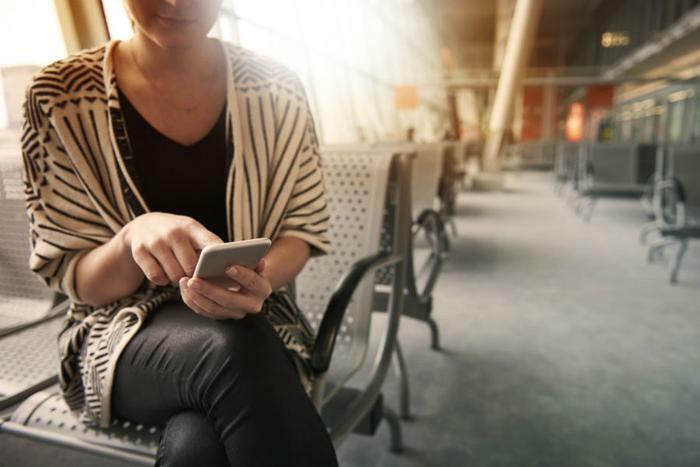 "One of the most stressful parts of traveling happens between heading to the airport and waiting to board your flight, as you start checking to see if your flight is on time," the company writes in its blog. "Flights already shows delays, and now we’re sharing reasons for those delays and delay predictions too." Using a machine learning algorithm, the app scans and analyzes historic flight status data and predicts which flights will take off on time and which may be delayed. Google says its Flights app will often have the information before the airlines do. While the app will include official announcements from the airlines about the status of flights, it will also offer predictions, which Google says should be 80 percent accurate. "We still recommend getting to the airport with enough time to spare, but hope this information can manage expectations and prevent surprises," Google said. To access the flight status information, users enter the airline flight number and route and the details will pop up. What's included in an economy fare? Google Flights will also help travelers sort out the details of rock-bottom fares on three airlines -- United, American, and Delta. Because studies have shown that consumers will pick a flight because its fare is as little as $2 cheaper, most airlines just advertise the base fare and put the growing number of fees in the fine print. The Flights app tries to focus attention on the add-on costs, at least for these three major airlines. For example, the app will reveal whether a basic economy fare provides space in the overhead storage bin, allows you to select your seat, and what it costs to check luggage.